Valentine’s Day is rapidly approaching and a new study says we should be paying as much attention to our sweet tooth as we do to our sweetheart. Different organizations make different recommendations about the amount of added sugars a person should consume: The Institute of Medicine recommends added sugars make up less than 25 percent of a person’s daily calories; the World Health Organization suggests 10 percent; and the American Heart Association says women should limit daily consumption to 5 percent and men to 7.5 percent. This is a situation where a little means a lot. The risk of CVD doesn’t just go up as a person’s level of added sugar consumption rises – it goes up exponentially. The study shows that the risk of dying from heart disease increases when added sugar intake is more than 15% of calories consumed daily; but if you consume 33% or more, the risk is four times as great. Heart disease is the leading cause of death worldwide and kills more than 600,000 Americans each year, according to the CDC. With February being American Heart Month, this latest announcement about the dangers of added sugar is especially timely. The most common sources of added sugar are sugar-sweetened beverages, grain-based desserts, fruit drinks, dairy desserts and candy. And about that other sweet event this month . . . 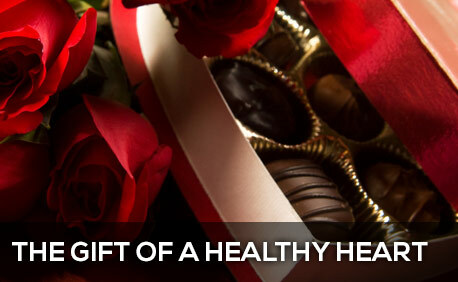 Sorry, dear, you won’t be getting a heart-shaped box of chocolates. How about some string cheese?